ASHE, or the Association for Study of Higher Education, is a great conference and network. Clearly, I’m biased as UNLV hosts this organization, but for those of you out there looking to pursue a PhD, EdD, or working on research, this organization is the place for you! I have found ASHE to be a supportive group, an encouraging networking of higher education professionals who wish to develop our field. Perhaps one of the greatest parts of conferences is learning about other colleges, cultures, and challenges. What I have come to realize through my past conference experience is that you do not have to attend every session or meet everyone you follow on Twitter, what matters the most are connections and your personal learning. Networking at conferences is highly important and could be the major purpose of conferencing. For this conference, networking was my primary goal as I complete my doctoral applications. However, this networking would not be possible if I did not take personal time to reflect. Sometimes I recharge by talking with people during round table discussions, other times I am overwhelmed by crowds and I need to wander by myself to process everything. My point is to take this recharge time even if it means missing a session. You want to make the most out of your conference experience, you should not feel forced to go everything, but instead encouraged to take personal time and seize this learning opportunity. Moreover, conferencing can be an energy-draining experience in a good way. Be prepared to take some recharge time both during and post-conference. 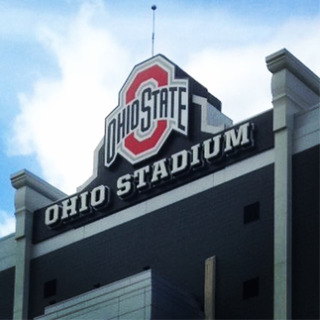 Visiting OSU was my way of recharging and I encourage you to explore and make the most of your conference experience.